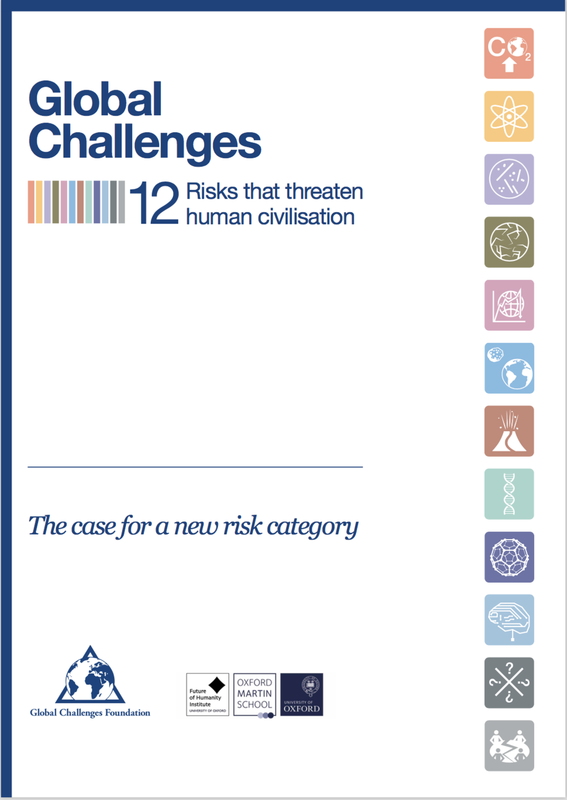 This is a report about a limited number of global risks that pose a threat to human civilisation, or even possibly to all human life. With such a focus it may surprise some readers to nd that the report’s essential aim is to inspire action and dialogue as well as an increased use of the methodologies used for risk assessment. The real focus is not on the almost unimaginable impacts of the risks the report outlines. Its fundamental purpose is to encourage global collaboration and to use this new category of risk as a driver for innovation. The idea that we face a number of global challenges threatening the very basis of our civilisation at the beginning of the 21st century is well accepted in the scientific community, and is studied at a number of leading universities.I However, there is still no coordinated approach to address this group of challenges and turn them into opportunities.